The Rubbermaid FG223P00AMBR hot food pan comes in amber so staff knows it is a hot food pan. This half-size pan has a capacity of 4 quarts. 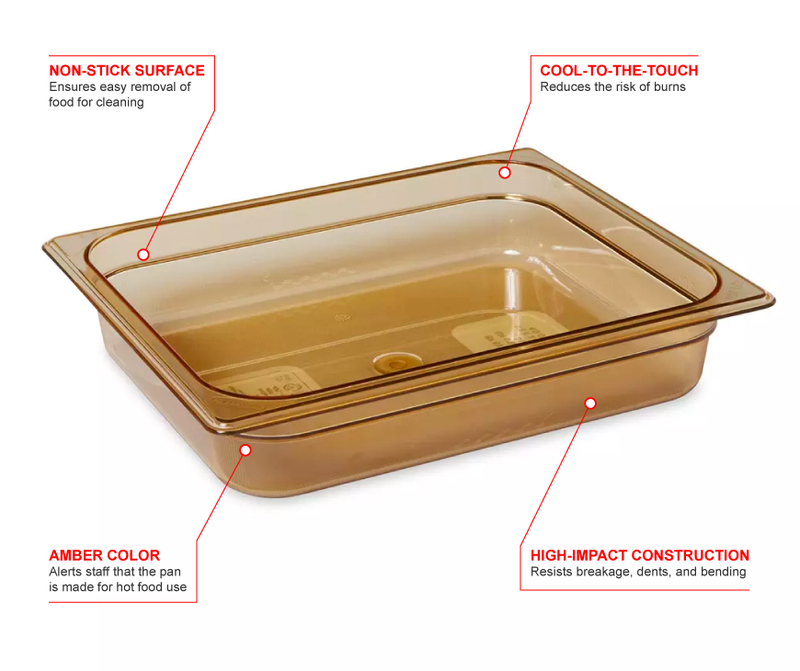 The non-stick surface of this pan makes cleaning it and removing food simple. Thanks to the durability of the pan, it will not easily break, dent, bend, and resists most chemicals. It is safe to clean in the dishwasher and heat in the microwave. This material stays cooler than metal, allowing users to touch it. 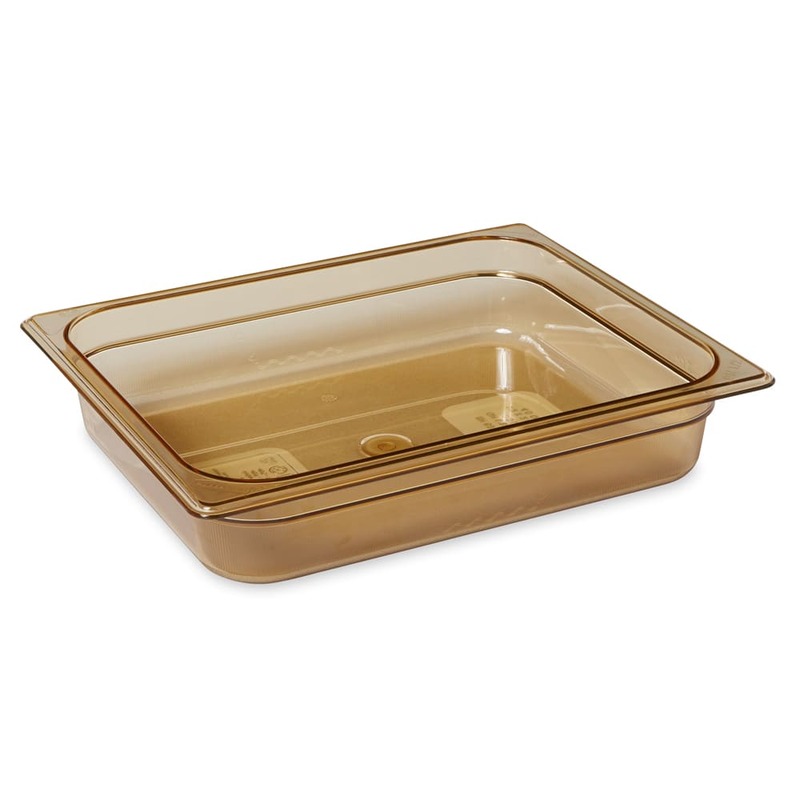 The Rubbermaid FG223P00AMBR hot food pan can withstand temperatures from -40 to 375 degrees Fahrenheit.